These jeans are kind of new, I wanted cropped kick flares for ages but most of them kicked out a little too much until I found these. They fit really nice and don't give you saggy knees despite them being quite stretchy! Plus they were 40% off so woulda been rude not to get them. These jeans are new also but in my defense I had 45% off (the Gap app is great!) and I had this fit before but they're too big for me now and I kind of missed them. 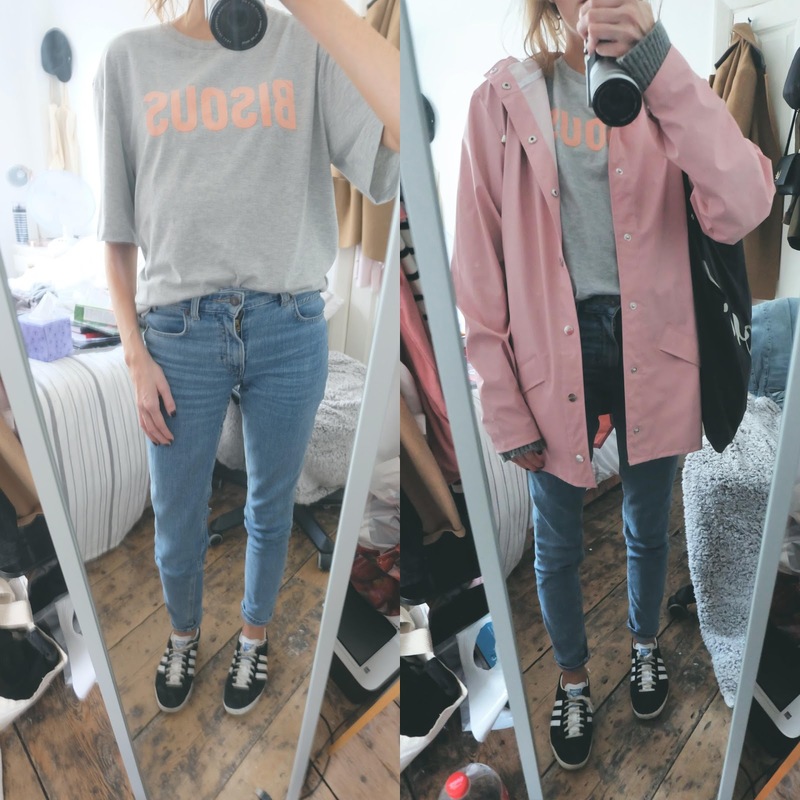 They're really good if you like boyfriend fit jeans but find most of them to be a bit too on the baggy side! I featured this jumper in my September Wishlist and I think it is my favourite thing ever, ever. You know I love a star print and what I like about this one is it goes all the way around instead of just at the front so you get celestial prettiness from all angles. I also wear these earrings pretty much every day! 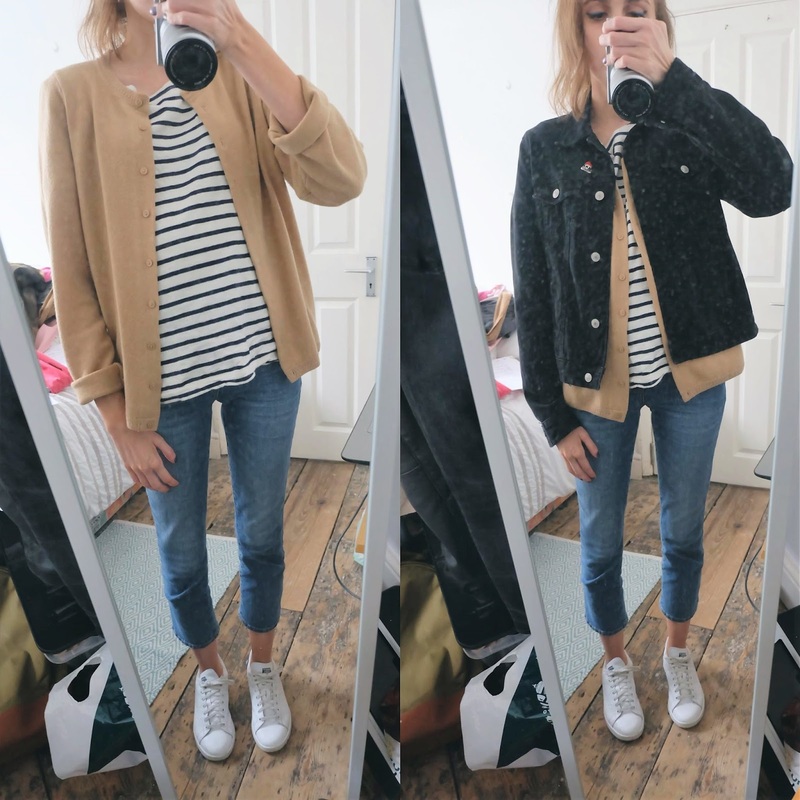 An outfit that I've totally ripped off Anna of The Anna Edit! This is kind of embarrassing but these jeans are also new, it's been so hard to find the perfect raw hem jeans but I think I've found them almost. I'm not a massive fan of the little ripped detail by the pocket but the fit is so good I shall let it go. A very quick, thrown together outfit because some idiot forgot to set an alarm and was running super late. 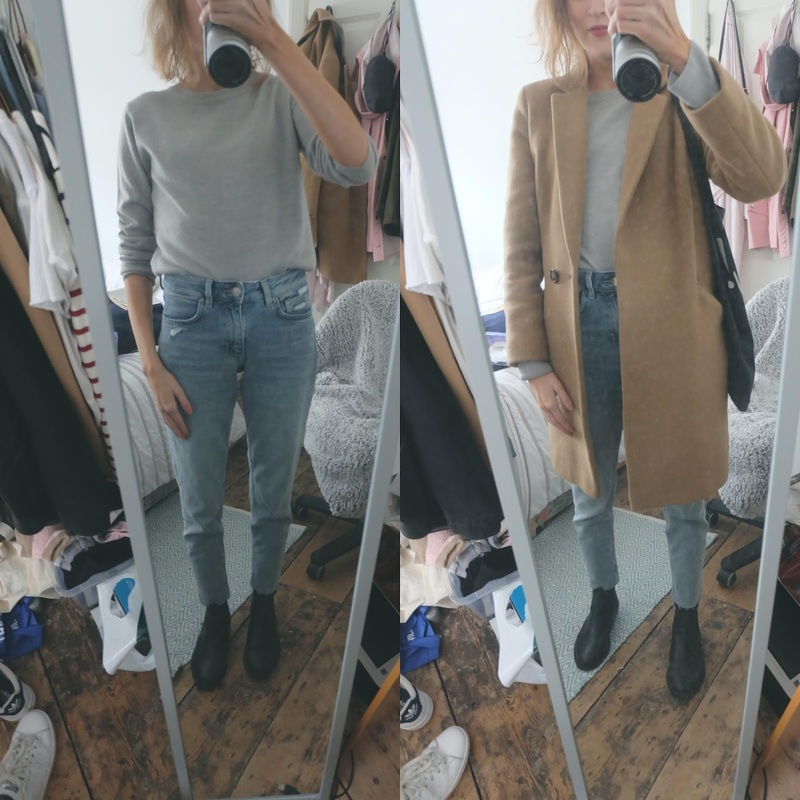 Little bit obsessed with this jeans/boots combo at the moment. Wearing a top that says bisous and a bag that says bonjour, could I be any more embarrassing (most definitely to be said in a Chandler Bing voice.) But this t-shirt was £9 and I love it, the coat was an absolute bargain too. I don't know why but ASOS had one in my size for £30 even though they also had it in all sizes in the same colour for £75. The hood has a cap and is quite geeky but I like it anyway, if you need a raincoat then I recommend it! And then on Sunday I had a study day so just stayed in jimjams! 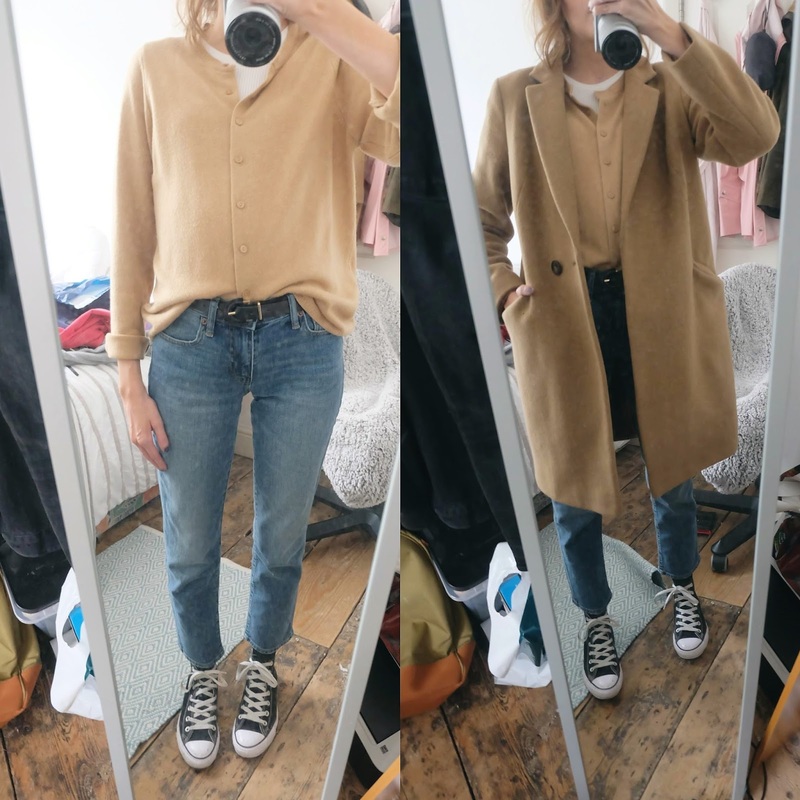 I'm not sure how long I can keep these up as I'll probably be outfit repeating before long but I promise next time I'll do this the mirror won't be dusty haha!